« Who says stormwater is boring? Can coastal growth be smart? Can Coastal Smart Growth be Resilient and Safe? 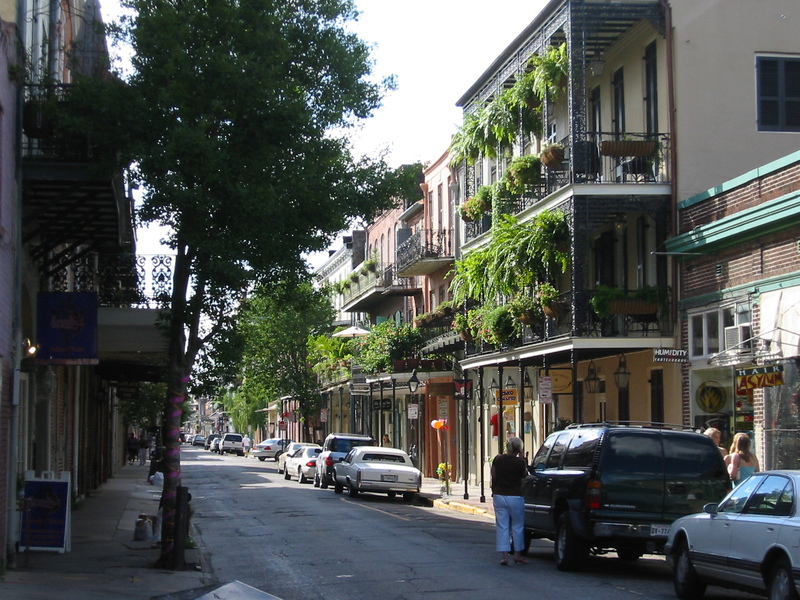 Could the French Quarter be a pattern of coastal community resilience? Pierce Lewis called New Orleans the Inevitable City in the Impossible Place. How would you not have a major city at the mouth of the largest river in North America, draining a vast and productive hinterland? But what a crazy place to put a city! Coastal areas are inherently hazardous. But they are also inherently attractive. In fact, it is probably safer to say that they are inherently irresistible. People ARE going to settle on the coast, and very often on some of the most hazardous areas of the coast. In siting and laying out a coastal city or development, there is always a tension between the safest location and being in the best situation in terms of access to maritime traffic and recreation. For New Orleans, the historical geographer Richard Campanella aptly referred this tension as Bienville’s Dilemma, Bienville being the founder of New Orleans, and Bienville’s Dilemma is the dilemma for every coastal city, whether laying out a new city from scratch, developing new area, or, in terms of this discussion, deciding how and where to develop following the disasters that will inevitably come. There is no question that Smart Growth provides a vision for vibrant and sustainable communities. But does it also provide a vision or guide for safe and resilient growth? Safety is NOT one of the 10 principles of smart growth, but I would argue that it is should be. In fact I would argue that coastal smart growth that is not safe is not smart growth. Smart growth in the wrong place is DUMB growth. But one could argue also, as I just did, that ANY coastal development is inherently unsafe –so there is the dilemma!! While on one level ANY coastal development is inherently unsafe, some places in this unsafe environment are less dangerous than others, and some ways of building are safer than others. Smart growth can and should enable better decision making, and it should inform post disaster redevelopment in ways that make a coastal community, or any community for that matter, more disaster resilient. I suggest 6 ways that smart growth in and of itself can endow coastal communities with greater resilience. There are of course 10 principles for smart growth itself, but I am going to use density as the master variable and examine how density confers resilience, because density in many ways is the sine qua non of walkability. Above all, walkability fosters greater social cohesion. Now, just building compact, mixed use, and vibrant places will not cure all of what ails coastal development—although it will certainly go a long way. We have to be willing to step back and ask ourselves the what, where, and how questions. The WHAT involves exactly what this conference is all about—vibrant coastal communities. We have already talked about the way in which a walkable urban pattern endow a certain amount of resilience to a coastal community.The HOW is what kind of structures we put in place. Clearly a step or two or three above in terms of building codes from standard development will be necessary. We talked about this in terms of the enabling of more resistant structures is less money is put into transportation.The WHERE is a critical issue. Again, in a coastal area everywhere is a risky place—but some are less risky than other. We need a framework with which to think about where we should be rebuilding. This needs to happen of course way before disaster strikes.